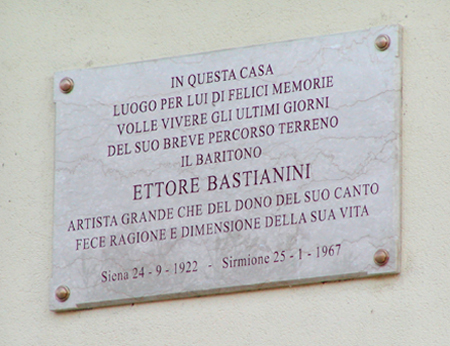 This event was held to recollect three distinguished singers who built the golden age in the world of Italian opera after the world warⅡ, and to appreciate the splendor of their arts. anew. 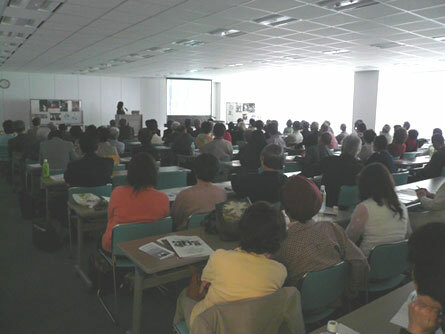 The event took place on April８at the main conference room in Mint Kobe building in front of Sannomiya station in Kobe City, under the cosponsorship of Kobe newspaper publishing company and the committee of this symposium, supported by Consulate General of .Italy and Italo-Japanese Association in Osaka and Kobe. The meeting turned out to be a great success ..About 130 people had attended the meeting. Questo l’avvenimento e stata tenuta a ricordare tre cantanti superiori chi hanno creato epoca d’oro dopo la querra ,e per ammirare loro arte splendida di nuovo. L’avvenimento e stata data al’ 8 aprile nella camera principale da conferenza in Mint Kobe building davanti alla stazione Sannomiya in Citta di Kobe, sponsorizzato da Il giornale di Kobe e la commisione dell simposio ,appoggiato da Consolato Generale del Italia e Italo-giapponese Associazione in Osaka e Kobe. La riunione ha fatto gran successo. Partecipanti sono contati circa 130. On the day, three lectures distributed their own resume to the attendants. Rare images and photographs of each singer introduced, proved the reason why they are called uncommon singers, Especially three singer’s voices ,powers of expression,aura in their best days were really overwhelming.